July 15, 2015. Boston MA. Members of the legendary Boston band Scruffy the Cat will be regrouping on Saturday, July 25th to play the last set at T.T. the Bear’s Place, the much-beloved Cambridge club that is closing its doors after 40 years. Scruffy the Cat played some of its earliest shows at the club, which continued to serve as its home base during years of heavy touring. The line-up for this show features some of the original members of the band, including band founder and guitar deity Stephen Fredette, powerhouse drummer Randall Lee Gibson IV, and multi-instrumentalist turned novelist Stona Fitch. They’ll be joined by long-time friends and collaborators Pete Weiss (guitar), Randall Creasi (bass), and David Charles (pedal steel guitar). Anyone who saw Scruffy in its prime remembers Chesterman’s charismatic and antic stage presence. At the July 25th show, special guests will be joining the band to sing — without trying to fill his shoes (or more accurately, engineer boots) because as Fredette put it: “No one could ever replace Charlie Chesterman.” Other performers that night also include O Positive, Randy Black, and Willie Loco Alexander. In 2014, Sony Music re-issued the band’s recorded catalog of two EPs and two LPs as Time Never Forgets: The Anthology (’86-’88), while Omnivore Recordings issued The Good Goodbye, a 27-track compilation of rarities and unreleased songs from 1984 to 1990. These new digital offerings help cement Scruffy the Cat’s reputation as a seminal Boston band and alt-rock pioneer, one that brought punkish energy to songs marked by a unique pop and country sensibility. High Octane Revival was voted the #4 EP of 1986 in the Village Voice's "Pazz & Jop" Critics list. Its 1987 debut album, Tiny Days, earned a spot in the top 5 of college national radio charts and ranked #4 in the Village Voice poll. Tiny Days was one of the top 10 college albums in Rolling Stone upon its release. Much of the band’s popular second EP, Boom Boom Boom Bingo, was recorded live at T.T. the Bear’s Place in the late ‘80s. 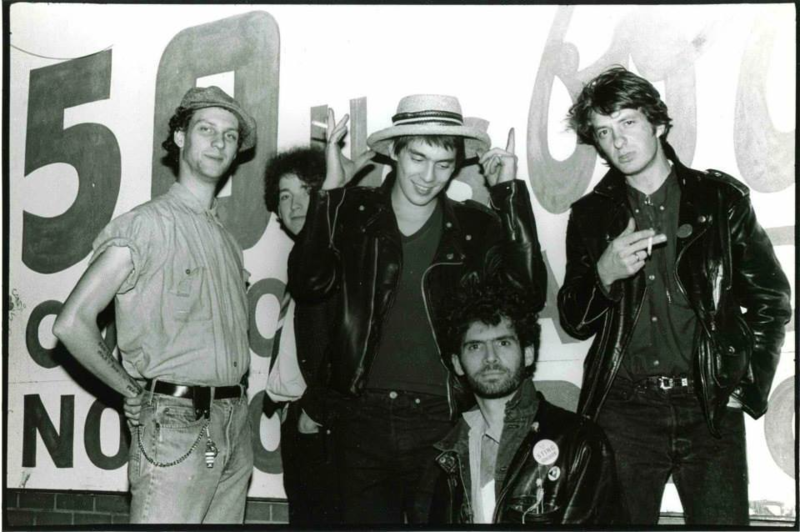 Scruffy the Cat in 1985: (left to right) Charlie Chesterman, MacPaul Stanfield, Randall Lee Gibson IV, Stephen Fredette, Stona Fitch. For more information about T.T. the Bear’s “Farewell Blowout Week” go to www.ttthebears.com.